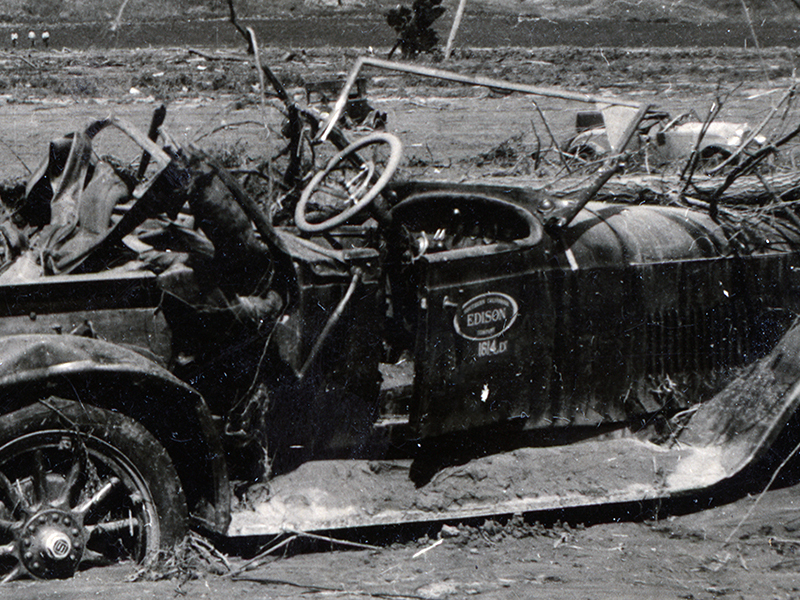 SCVHistory.com HS7044 | St. Francis Dam Disaster | Photo Gallery: Wreckage at Kemp Station/Blue Cut, L.A.-Ventura County Line, March 1928. 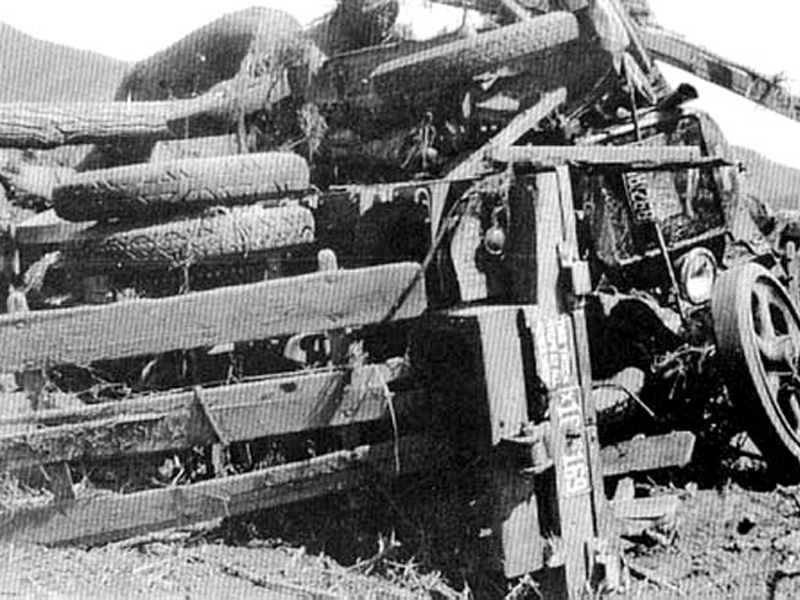 March 1928 — Wreckage in the Kemp Station-Blue Cut area at the L.A.-Ventura County line where approximately 150 Edison workers were encamped on the night of March 12-13, 1928, when the St. Francis flood hit. Eighty-five perished. 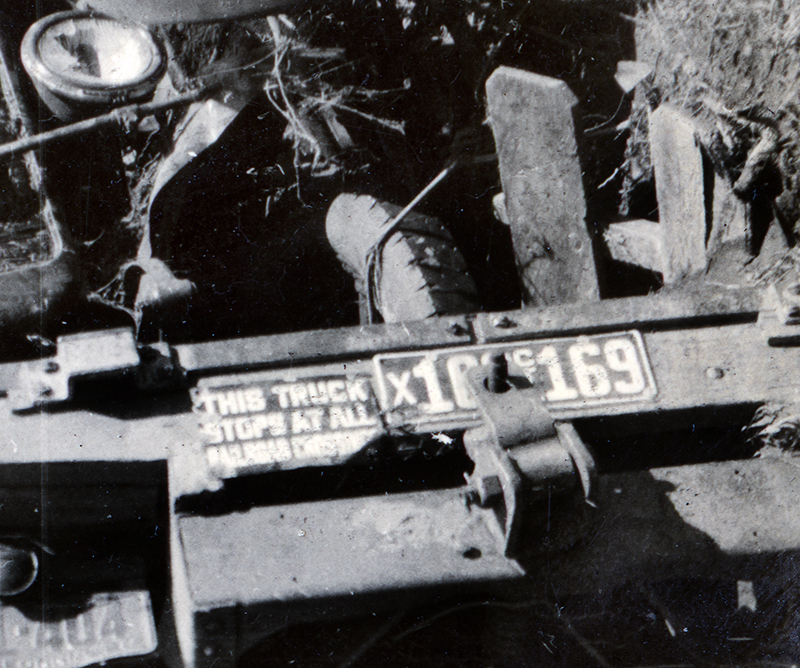 Detail from HS7056. Click image to enlarge. 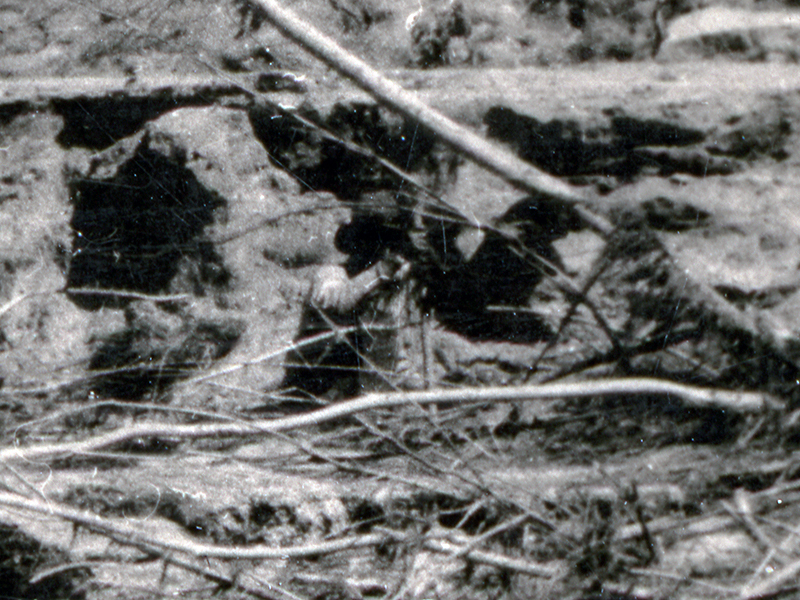 Detail from HS7059. Click image to enlarge. Set of twenty-three 4x2½-inch prints of glossy prints came to the Santa Clarita Valley Historical Society from Betty Houghton Pember. They had been removed from a scrapbook. 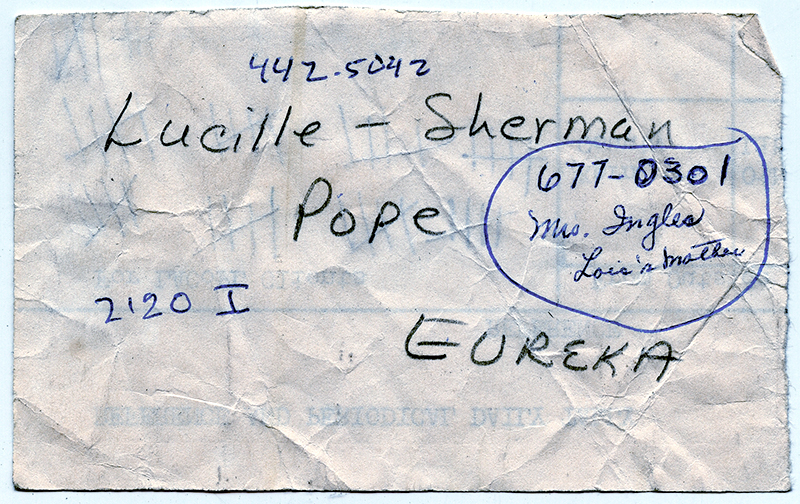 They came with no written information other than the identity of the original source: Lucille and Sherman Pope of Eureka, Calif.
We don't know which was the photographer, but if we had to guess, we'd pick Sherman Pope as the likely candidate. 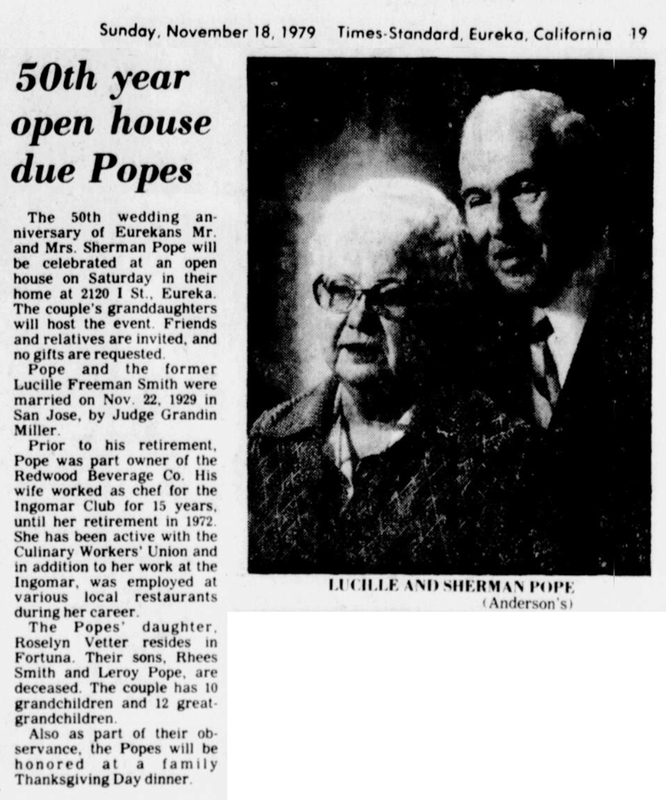 Lucille (1905-1992) and Sherman (1903-1985) were not yet married at the time of the flood; they married November 22, 1929, in San Jose. In 1928, Sherman was a traveling beer salesman, probably living in Santa Clara, so he might have been traveling through the area on his rounds. He eventually became vice president and part owner of Redwood Beverage Co. in Northern California while Lucille worked in several restaurants including the Ingomar Club in Eureka where she was a chef. They are buried in Sunset Memorial Park in Eureka. Photo set includes multiple views of wreckage at Fillmore and Bardsdale. HS7044, HS7045, HS7046, HS7047, HS7048, HS7049, HS7053, HS7054, HS7056, HS7057, HS7059, HS7061, HS7064, HS7065 | Download original images here.